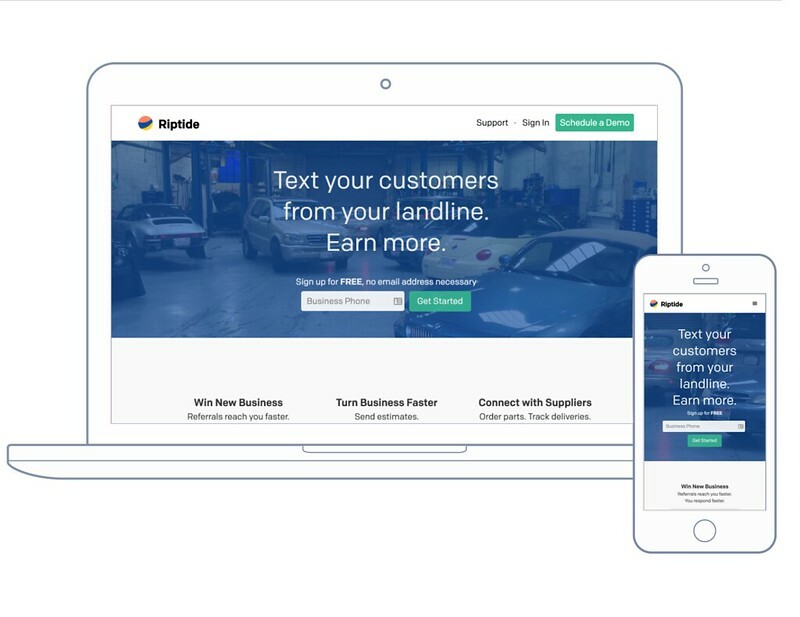 As an early stage product for service professionals, experimentation and time to market were key to rolling out Riptide's messaging app and achieving product-market fit. To accelerate velocity, I played multiple roles — designing, prototyping, and developing MVPs for messaging, onboarding, and payment using Angular and Bootstrap. Beyond front end deployment, I conducted user testing, employing services like UserTesting.com, Google Analytics, and Google Tag Manager to spot breakdowns and analyse and calibrate performance metrics. 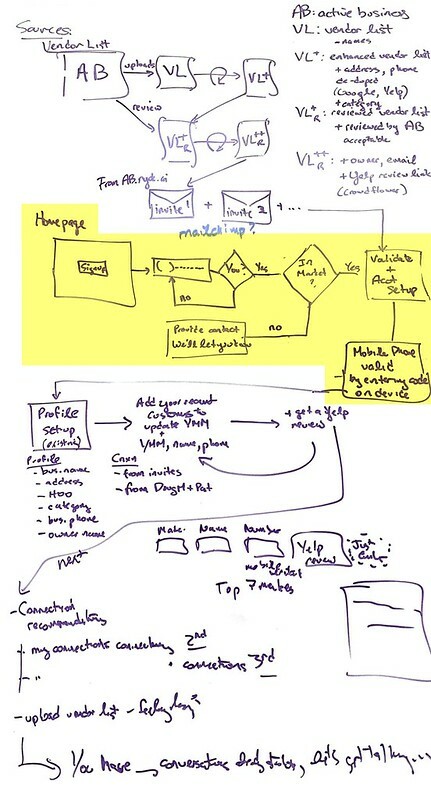 Onboarding efforts focused on signing up verified small businesses and delivering aha moments to boost user retention. Journey mapping the entire onboarding experience including the brochure site (built with Middleman) and first user experiences provided context for prototyping the onboarding screens and actions. 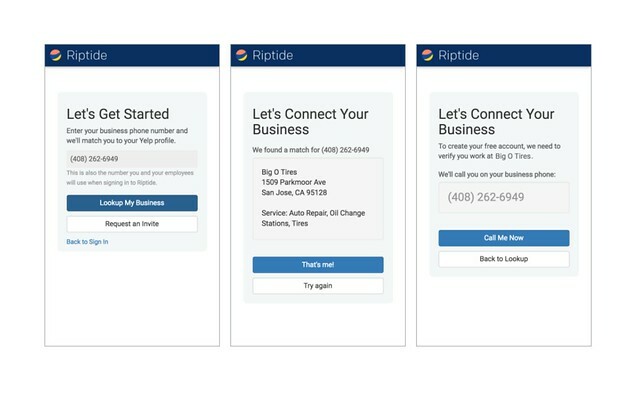 The onboarding app itself (built with Angular) emphasizes a mobile- and desktop-friendly experience, incorporating learn flows and email-free validation for a friction-free authentication process. Businesses want to stay close to customers and view related information in context. 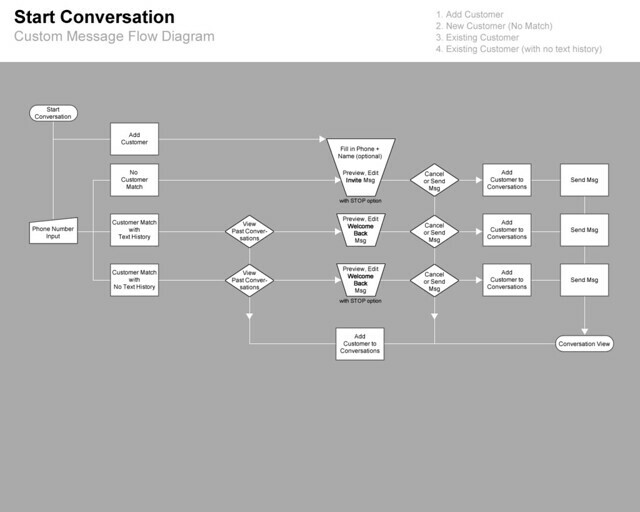 To address this dictum, I diagrammed and prototyped optimal task flows. 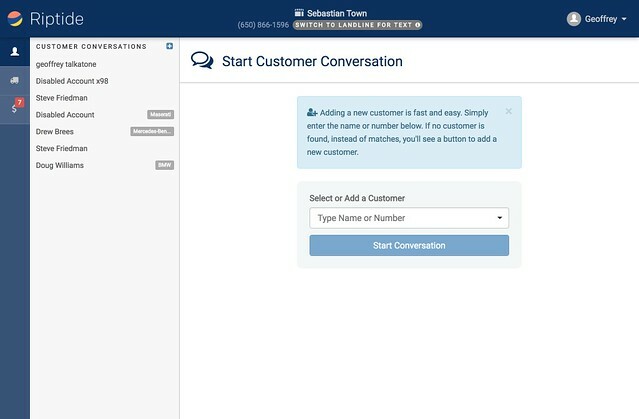 The resulting chat UI exposes conversations, notifications, messages, and customer profiles in a series of progressive master/detail views. 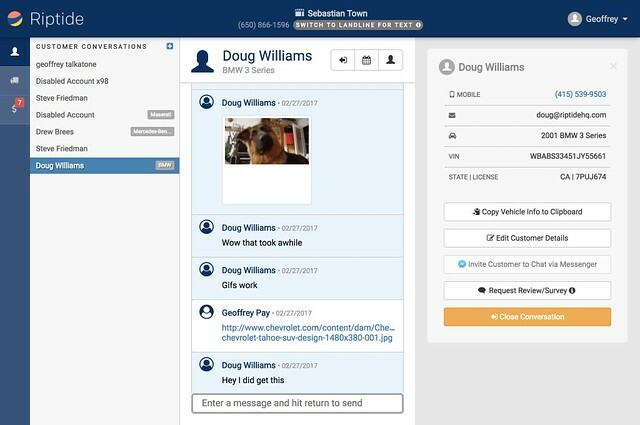 Shop owner research revealed opportunities to integrate messaging into existing workflows. 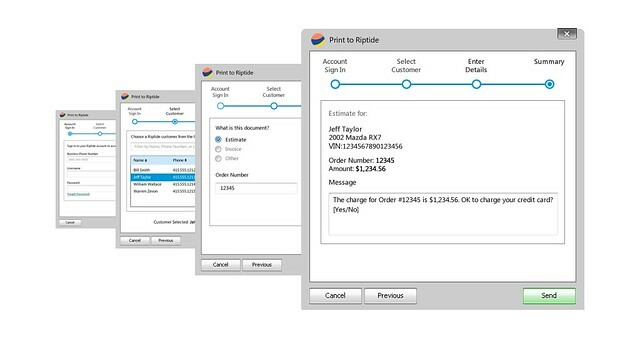 Frequent print jobs originating from shop management applications motivated development of a print driver that could send Riptide messages and documents (estimates/invoices) to customers along side physical print jobs. Design artifacts produced included screen mockups shared with a remote Windows development team and a product brief to educate users.